Living together with cats is a lot of fun. People who love cats often appreciate them because of their stubbornness. Sometimes, however, the kittens show serious behavioral problems. They become dirty, suddenly bite their owner or start nibbling on their own tail. We need to start a root cause research, if the reason for the behavioral problems will found, this can usually be treated well. Uncleanliness is one of the most common behavioral problems in cats and can be expressed in very different ways. Some cats mark certain points in the house, others suddenly stop looking for the litter box. 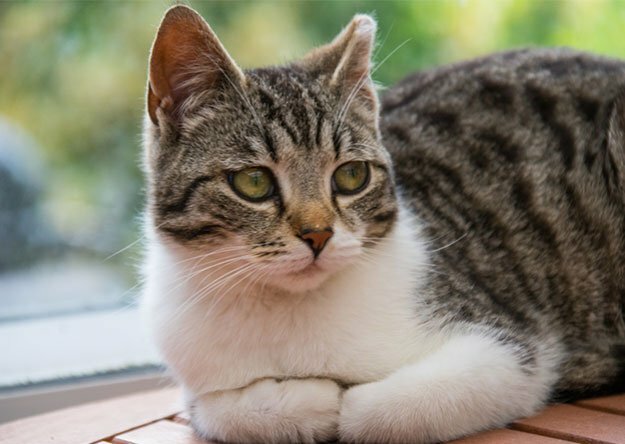 Another common problem is that the cat becomes aggressive or the cat bites its owner or hits its legs and paws as it moves. Especially in households with small children, aggressive behavior can be dangerous. Other cats hurt themselves, nibbling on their own tail or their paws. Some behaviors that have been seen as a problem by humans are part of the cat’s natural behavioral repertoire. These include for example urine marking or scraping on wallpaper and furniture. Cats mark their territory in this way and send out signals to conspecifics. In the household, however, these behaviors are undesirable. 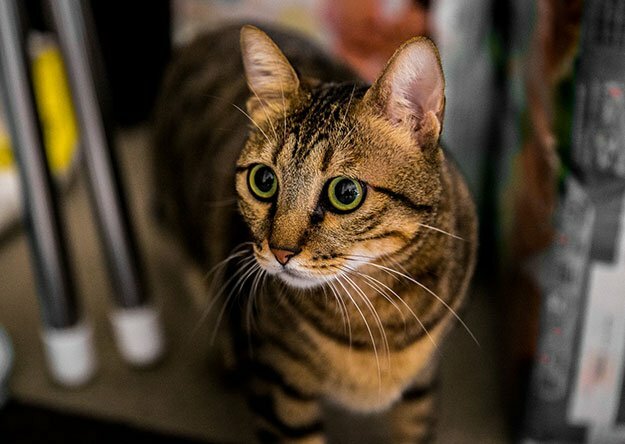 With a little patience, these behaviors of the cat can be changed. Real behavioral problems occur when the cat injures itself or others or harms their social network, such as suddenly responding aggressively to their fellow roommates. If the cat shows behavioral problems, the cause research must first be conducted. In case of sudden uncleanliness, aggressiveness or self-injurious behavior, the first way should lead to the veterinarian. Frequently, organic causes are responsible for the alleged wrongdoing. Medical treatment often brings improvement. Sometimes cats have to “unlearn” the misconduct, but additional behavioral therapy may be needed. 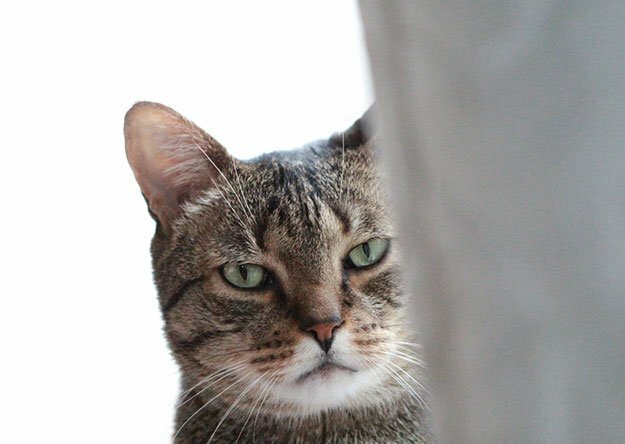 If organic causes are excluded, the life situation of the cat must be analyzed. Through conspicuous behavior, cats often express that they bother something in their immediate environment. Were new furniture purchased, were there any offspring or were the litter boxes changed over? Not all changes can be immediately recognized by humans. Perhaps a new cat has moved into the neighborhood, which now makes its own babe disputed the area. Maybe a cat feels uncomfortable in a pure housing attitude and expresses these behavioral problems. Many behavioral problems can also be traced back to incorrectly learned behavior during kitten time. 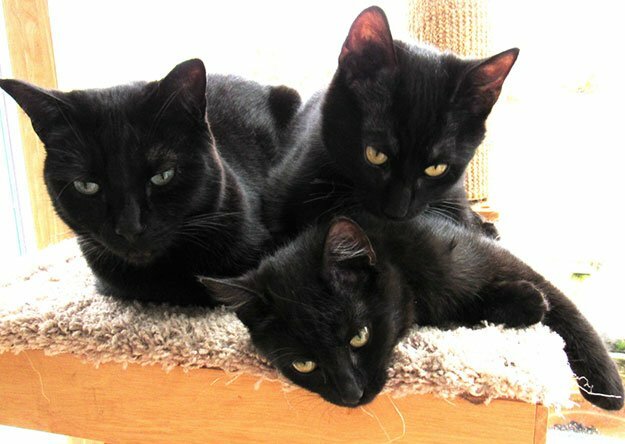 Kittens that are separated too early from the mother can often not learn proper cat behavior. This is especially true when they grow up in isolation. Often they play too aggressive, biting and scratching. Are the kittens still small, this looks cute on many people. Cat owners then often unconsciously reinforce the misconduct. Once the cat is grown and can bite powerfully, the once cute beast becomes a dangerous behavioral problem. 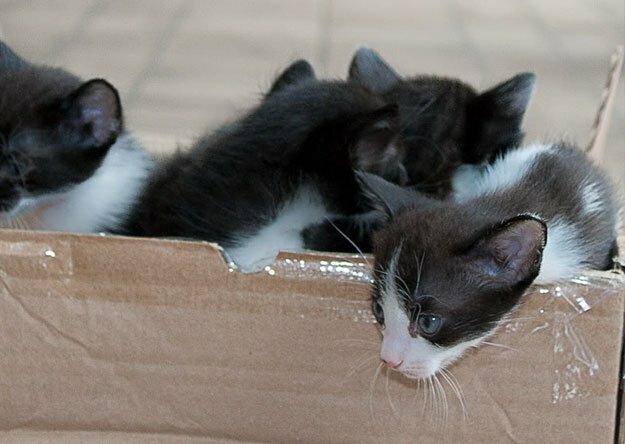 In order to prevent behavioral problems, kittens should be allowed to stay with their mother and siblings for at least 12 weeks, better still 14 or 16 weeks. During this time, the little kittens learn important rules of behavior. If they are too frenzied or too intrusive, the cat mother quickly puts them in their place. When playing with the sibling’s, kitten learns how far they can go in the fight. Loneliness is another common cause of behavioral problems in cats. Contrary to popular belief, the velvet paws are not loners. Not only kittens but also adult cats should be able to live together with conspecifics. However, life in the multi-cat household can put a cat or cats under stress. This happens for example when too many animals live together in a small space. Maybe the cats living in the household just do not fit together. Because cats can not suffer, it starts to bullying. Cats are after their conspecific, do not let him on the litter box or expel him from resting places. Cat bullying can be so subtle that people only notice it when the annoyed cat shows behavioral problems. Once the causes of behavioral problems have been found, it’s time for therapy. Very important: People should never punish cats for their wrongdoing. Cats express behavioral problems that make them feel unwell and under stress anyway. Punishment only increases the stress and scares the animal in addition. The therapy always depends on the cause of the unwanted behavior. In the case of dirtiness, it can often help to set up more litter boxes, to try a new cat litter or to put the toilets in a different calmer place. If there has been a big change, more attention can boost the self-esteem of the cat. Some aggressive animals simply feel under-challenged and need more animal welfare. Rewarding desirable behaviors is an important part of the therapy. In addition, people need patience and understanding for their four-legged friends. It may take some time until the trigger for unwanted behavior is found. It can take several weeks for a therapeutic approach to be successful. Sometimes different approaches have to be tried out until the cat feels well again. 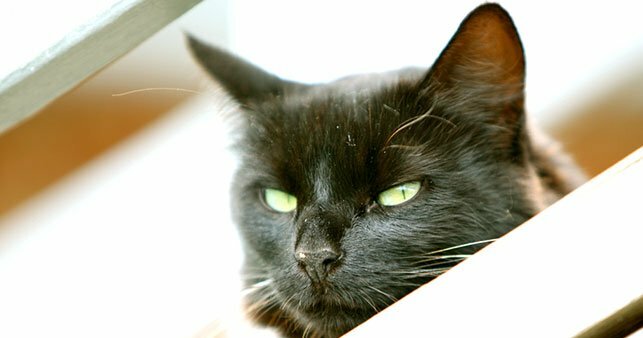 The faster cat owners respond to behavioral problems, the better they can be treated.